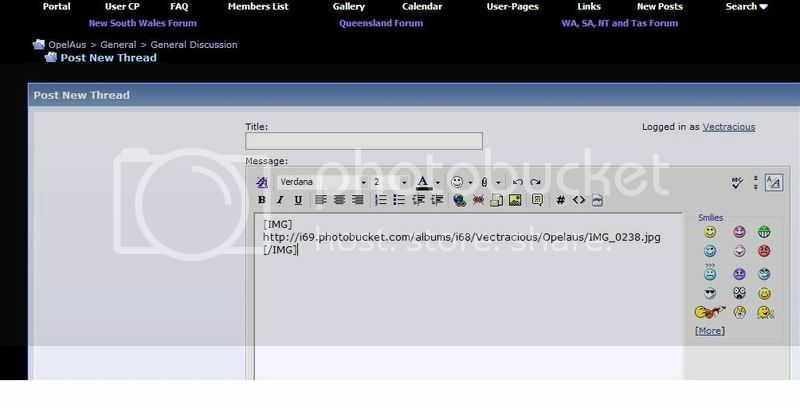 OK - here's a quick How To to host images on Photobucket so they can display on posts in the forum. Single click with your mouse on the IMG Code box underneath the image you want to upload. A Yellow Copied box will appear - the image code has now been saved to your clipboard and you can paste it onto the forums. That is what it should look like in the text box on the forums. 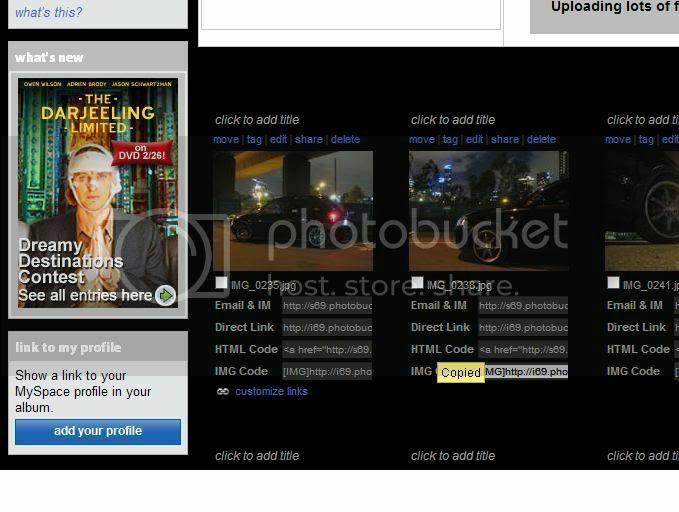 Once you press submit or Preview post, the photo will come up in place of the IMG code.